For some people, having their own home is not yet a reality. This can happen as they can’t afford to buy a house, moved to different city for work, job, business, etc.. For them, renting a home is the best solution. But sometimes a house that have been rented was not suitable. Because of that we need a few things to consider. The most important thing is a good environment of that rental house. Find out by talking with the neighbors or the surrounding community while you survey the environment around the house to be rented. It is important for your comfort and security if you rent the house. Your relationships with your neighbours would be very helpful if you live in that communities. Consider the rental price, do not rent a house without being able to save for your own house. Rental value should be no more than 30% of your income. You have to save up to buy your own house if you do not want to become a tenant for life. Note whether the house is prone to disasters such as floods. 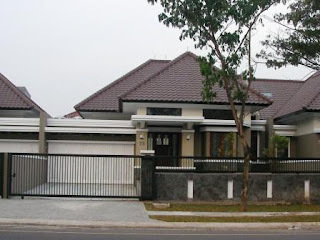 One characteristic of flood-prone house is located on low land close to waterways, streams, lakes, etc.. Houses that have been affected by flooding will have damp walls, with two different colors of walls paint, after flooded the paint will be darker and slightly yellow. Check if there is damage to the house before you rent, discuss to owner if there is damage to make it clear who is going to repair it. Neighborhood security is also need to be ensured, ask the locals about the security situation and how they maintain the neighborhood security around the house.Transportation is also need to consider, whether you use motorcycle or a car or use public transportation . If you rely on public transportation, the location of the house to be rented should have close access to public transportation terminal or station, the distance should be within 15 minutes walk. Check the schedule when public transportion is available, avoid to go too early or too late to go home so there is no public transportation available. If you have your own vehicle, it is necessary to ensure a safe parking for your vehicle, and vehicle access to enter the house. Access to public facilities such as markets, schools, hospitals also important to consider, especially if you occupy the house with your family. Children's education should be a concern as long as you and your family live in that house. Family members such as women and girls may need special attention and consideration, especially those related to safety and the environment at home. Especially if you are rarely at home. Maybe you need to make minor changes to the rented house, for business purposes for example. You need to discuss it with the homeowner. Do not make the homeowner does not like the changes you made. Also discuss about how the cost of changes to the house will be covered, should you pay the cost or may be can split half with the owner. Few years ago rental house that has land phone worth about 10% higher than the one with no telephone. Now it is no longer the case, because the popularity of cell phones so that the house with telephone no longer has a meaningful difference in rental value. Unless you need a fax that uses land phone, then this should be considered. If you intend to run an online business at home, then consider your internet connection. Suppose you use a wireless internet connection, then it must be ensured that the signal strength around the house is pretty strong. If you have pets, make sure homeowner and your neighbors are not bothered. Some people do not like certain animals because they carry diseases, such as bird flu (avian flu). Do not forget to make a contractual agreement with the owner of the house, read carefully to understand the contents of the agreement. Consider the points mentioned in the agreement, in order to prevent legal problems. And of course discuss the rental price and what facilities you can get.